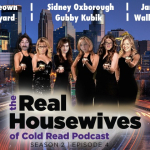 On the season premier of Cold Read Podcast, Hannah is interventioned, Gubby murders for gift cards, Alex is racist, Michael steals nail polish, and Jordan transforms. Also, the very first edition of The Reluctant Adventures of Jeff. 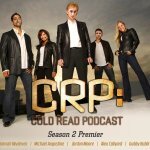 Is this that podcast about that kid who locks himself in a freezer for an hour and talks about what it feels like? No. That's Cold Reed. Sorry for the confusion. This is Cold READ. 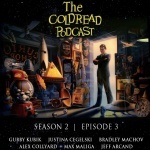 Cold Read is a podcast where hosts Alex Collyard and Gubby Kubik invite comedians to cold read original sketches, amongst other things. 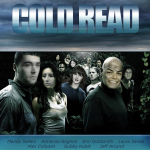 What's a "cold read"? That's when you read some form of writing without ever having seen the content on the page before that very moment. What's a "sketch"? It's a short script that is (usually) funny. What's an "amongst other things"? It's improvised theme songs, chats, bits, sketches written in 15 minutes, improvised continuations of scripts, judgment, and the ever important awarding of points. Then a fake Champion of Comedy is decided. Not every guest wins, but the listeners always do*!! 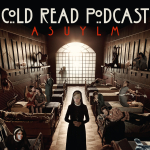 *Unless you thought you were listening to Cold Reed... again, sorry for the confusion.